For nearly a century, Kellogg, Idaho, was home to America’s richest silver mine, Sunshine Mine. 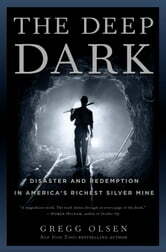 Mining there, as everywhere, was not an easy life, but regardless of the risk, there was something about being underground, the lure of hitting a deep vein of silver. The promise of good money and the intense bonds of friendship brought men back year after year. Mining is about being a man and a fighter in a job where tomorrow always brings the hope of a big score. 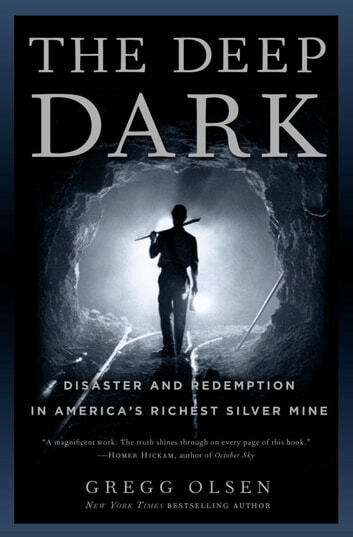 On May 2, 1972, 174 miners entered Sunshine Mine on their daily quest for silver. Aboveground, safety engineer Bob Launhardt sat in his office, filing his usual mountain of federal and state paperwork. From his office window he could see the air shafts that fed fresh air into the mine, more than a mile below the surface. The air shafts usually emitted only tiny coughs of exhaust; unlike dangerously combustible coal mines, Sunshine was a fireproof hardrock mine, nothing but cold, dripping wet stone. There were many safety concerns at Sunshine, but fire wasn’t one of them. The men and the company swore the mine was unburnable, so when thick black smoke began pouring from one of the air shafts, Launhardt was as amazed as he was alarmed. The miners’ families waited and prayed, while Launhardt, reeling from the shock of losing so many men on his watch, refused to close up the mine or give up the search until he could be sure that no one was left underground. In The Deep Dark, Gregg Olsen looks beyond the intensely suspenseful story of the fire and rescue to the wounded heart of Kellogg, a quintessential company town that has never recovered from its loss. A vivid and haunting chapter in the history of working-class America, this is one of the great rescue stories of the twentieth century.